Three Months Until Carnival Breeze’s Inaugural Voyage! 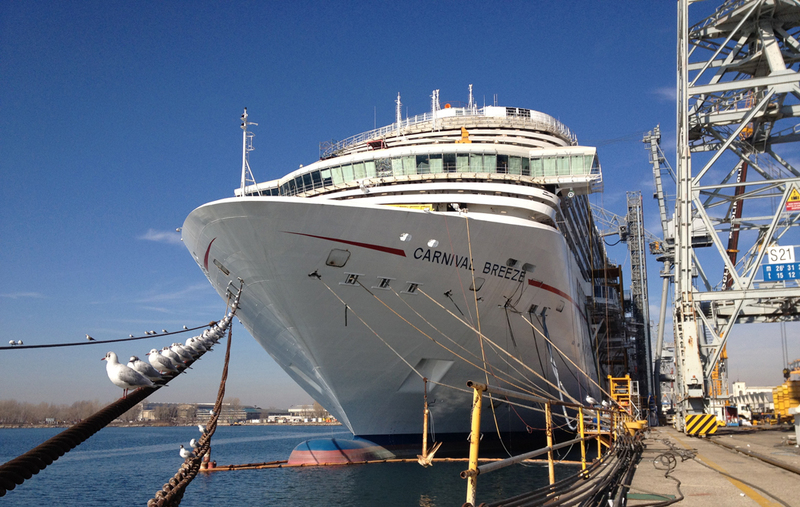 Construction on Carnival Breeze continues to move along as scheduled, with just three months until its inaugural 12-day cruise from Venice to Barcelona June 3. 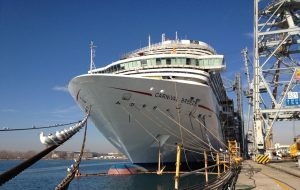 Following this special one-time cruise, Carnival Breeze will operate a series of 12-day Mediterranean voyages from Barcelona through October 25 followed by a 15-day transatlantic crossing that starts in Barcelona and ends in Miami. The ship then launches year-round six- and eight-day Caribbean cruises from Miami beginning November 24, becoming the largest Carnival ship ever based at that port. Carnival fans can count down the days until the ship’s inaugural voyage at www.carnivalbreeze.com, which also features a variety of images and videos, along with a comprehensive virtual tour.